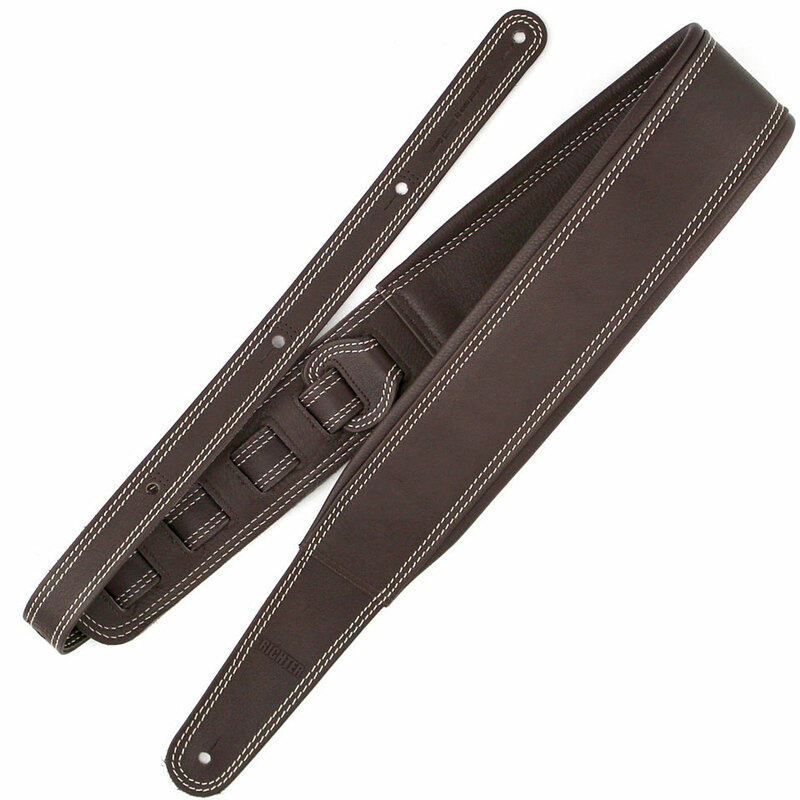 The Judge Springbreak BrownWH LL strap is a 7 cm wide belt made of high quality glove leather. Premium belt made from soft glove leather. Alternatively, with leather or microfiber inside! A real quality belt made from high quality Nappa leather. Really soft goat leather. Padded interior and with lateral "lip". The length is 121 cm - 158 cm adjustable. On the rear strap there are 3 holes. After each hole is sewn. Therefore, if you like the instrument very high, the belt can be cut off without any further seams opening up. This item was given an average rating of 4.5 out of 5 stars. No review about this product has been written yet. 6 ratings exist without a text or these reviews are written in another language. · Show all articles of the brand Richter.